Everyone knows I love to shine my sink and put it to bed – it does literally soothe my soul. Be it stainless steel, ceramic, enamel or granite, here are my top tips . . . Stainless steel – Simply use Stardrops Pine Disinfectant Spray and a Minky cloth to wipe down. Then comes the star of the shiny sink show, stainless steel spray aka, Cliff the Cif. Spray on and leave him for a few minutes to work his magic. Use a slightly damp buddy to buff to perfection. Ceramic – You’ll want to make sure you keep your ceramic sink looking beaut by scrub-a-dub-dubbing it with Derek the Dishmatic and warm soapy water or, for a deeper clean, Cif cream cleaner. Use a Minky to wash the suds away and disinfect with the one and only Paul the Pine. Make sure to use a mat or washing-up bowl to protect it in the long run. Enamel – Fairy liquid and my mate Minkeh are all you need for everyday care of your enamel sink. Top tip: never use scourers or chlorine bleach on this surface as they’ll scratch and dull your sink. For tough stains use baking soda, a couple of drops of hydrogen peroxide and scrub with a non-abrasive sponge. Granite and Composite – My motto is clean little and often to keep your granite tip top. Use hot but not boiling soapy water, and, of course, your Minky to clean this surface. To lift tough stains use a nylon brush and a 50/50 solution of hot water and white vinegar, then rinse and dry. Create your very own magical Narnina underneath the sink. 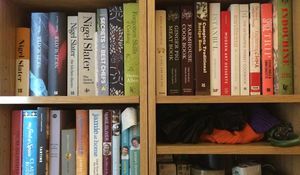 It is weird that under-sink cupboards are where most of us store our cleaning products, but they can be some of the dirtiest, most neglected cupboards of all. 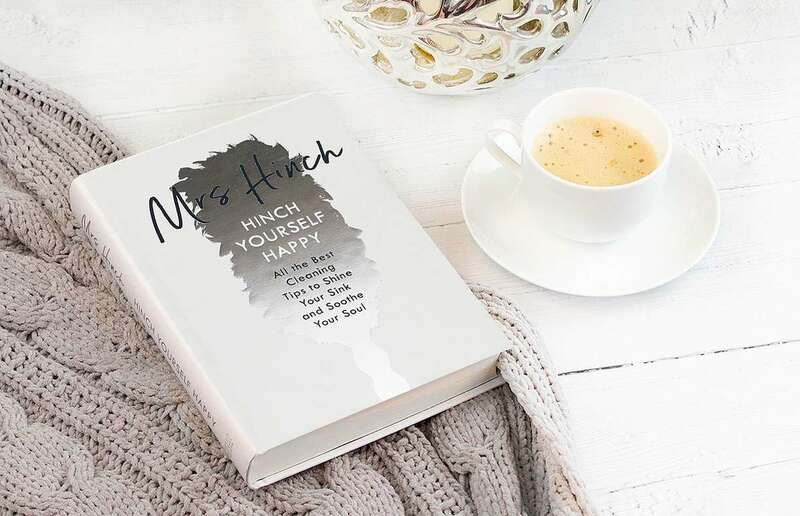 Transform yours into a joyful place to be: don’t overload it and only keep your essentials, store products in baskets and use self-adhesive hooks, along with magic tea towel clips to hang your cloth babies (you can find these on eBay). These things take minutes to do and the payoff will be cupboard happiness! Empty everything out of the fridge. Check the use-by dates and make sure there’s no out-of-date food. That is the worst! If you have any baskets in your fridge, like I do for things like sauces and cheese, empty those too, and fill them with Fairy Platinum and warm water and leave to soak. Take the fridge shelves, racks and drawers out and pop them in the sink to soak, or if you have an oven rack soaking tray like I do, then pop them in there instead, it works a treat! Again, Fairy Platinum works so well for a soapy and bubbly cleaning solution. Avoid using neat disinfectants or kitchen cleaners in the fridge as they may contain certain chemicals that could cause contamination. Personally, I take out my large vegetable drawer, which is usually sat at the bottom of the fridge, and fill it with Fairy Platinum and warm water. Then I chuck Minkeh in there, squeeze him out and get to work on the inside of the fridge. It works just as well as a huge washing-up bowl would and helps keep the area free from water spilling everywhere! There are often marks at the back of the fridge where labels get stuck or things spill, so I’ll put some Pink Stuff on my Minkeh and scrub them away. Wipe down the baskets, shelves, drawers and racks after they’ve been soaked and simply leave them to air-dry! Wait until everything is completely dry before putting it all back together. Don’t forget to wipe and return your fridge liners. I bloody love those things! Last but not least, put the food back. What a pretty sight that is! I do this as and when it needs cleaning. If you cook every day, it’ll need this little clean every day! I like the winning combo of Cif Original Cream Cleaner and my Minkeh (Minky cloth) for my hob! It’s never let me down and I’m in love with the after-shine. 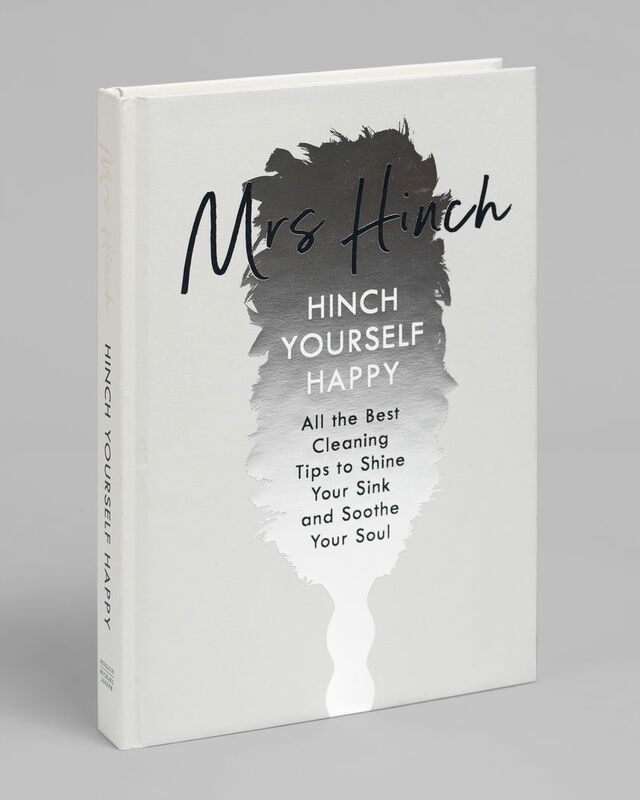 Get your copy of Hinch Yourself Happy here for plenty more tips and tricks for every room in your house. 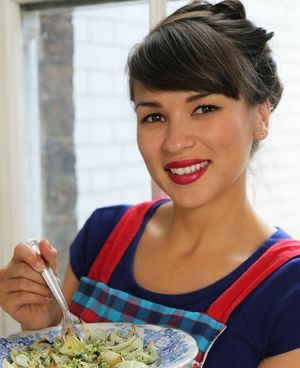 To celebrate the release of her gorgeous new cookbook, Rachel Khoo's Kitchen Notebook, we asked Rachel Khoo to take us on a tour of her personal cookbook collection. 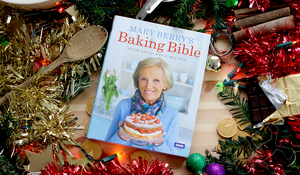 The first cookbook she ever bought, which cookbooks inspire her the most and which she would rescue in a house fire! Find those out and more here.